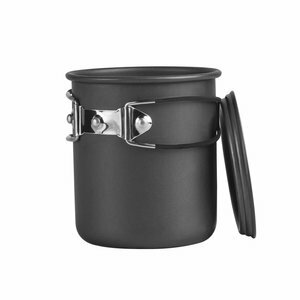 Large camp cup made of hard-anodized aluminum. May be heated on gas cookers or over fire. Has a lid, folding handle, wide enough to fit 1-liter Nalgene bottle.